The charter market has finally turned for containership owners, as ocean carriers snap up available tonnage for new service launches and cover for ships entering dry dock for scrubber installation. Alphaliner estimates that the market has been skewed by around 200 containerships being taken out of service for up to 40 days, obliging carriers to seek temporary replacements. According to the consultant’s latest survey, the number of container vessels in hot or cold lay-up halved in the past month to just 126, representing capacity of 461,475 teu, and the idle tonnage fleet now represents just 2.1% of the total global cellular fleet, compared with 4% a month ago. And some sectors are reported to be ‘sold out’. Moreover, carriers have changed their strategy of fixing only short-term charters of three months or less to long-term deals of a minimum of 18 months, with options for extensions. According to Alphaliner, Maersk Line has been especially active in the charter market recently, having fixed some 13 vessels of 4,000 teu or over for up to 24 months since the beginning of the year. This is obviously good news for shipowners that were considering scrapping idled tonnage. Indeed, after a strong start to the containership recycling market this year, which has seen 36 vessels, for 65,000 teu, sent to breaker’s yards. This compares with 48, for 88,000 teu, over the whole of 2018. One Hamburg-based broker told The Loadstar today there had been a massive turnaround in the charter market in recent weeks, which he attributed to carriers taking stock of their fleet ahead of the IMO 2020 low-sulphur regulations. However, rates have reacted to the new demand and jumped significantly for ships of more than 6,000 teu, with certain sectors such as the 7,500-11,000 teu VLCS sizes, reportedly ‘sold out’. According to Alphaliner intelligence, the last open VLCS – the 8,500 teu Hakata Seoul – was fixed on a 36-month charter with South Korean carrier KMTC, which is understood to be deploying the vessel between Asia and India. In the LCS 5,300-7,499 teu sector, Alphaliner reports that there are now just three vessels of 6,500-6,800 teu showing in a ‘spot’ position, with demand and enquiries said to be “high”. A similar situation exists in the smaller sectors, although demand has yet to push up rates. However, this may be about to change. 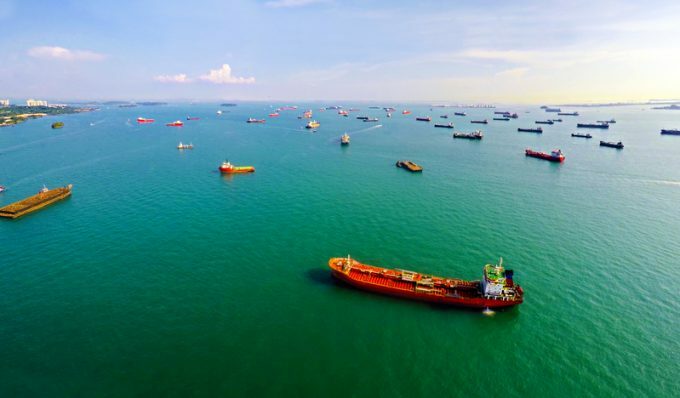 “A wider and more sustainable charter rate recovery can be expected as the backlog of tonnage is gradually cleared,” said Alphaliner.